Blockchain and cryptocurrencies are set to become one of the most disruptive technologies in the world. Currently, women make up around five to seven percent of digital currency users. While the technology may have started with men, it is possible that the future may well be in the hands of an inspirational band of women who are helping to reshape blockchain and crypto technologies. Here are 30 of the most innovative and exciting women to follow to keep your finger on the pulse and stay up to date. Elizabeth Rossiello – founder and CEO of BitPesa, the largest African digital currency FX and payments company, Rossiello is working at changing how people get money in Africa. With only 3 percent of the sub-Saharan population able to access credit cards, and PayPal blocked in many countries, bank transfers and remittances are the only available avenues. Unfortunately, the fees involved with these can often be higher than elsewhere. With a background in investment banking working across Europe, Rossiello created BitPesa, providing a solution in the foreign exchange system. Blythe Masters – as former executive at JPMorgan Chase, Masters is now the CEO of Digital Asset Holdings, a fintech company that is developing blockchain technology for the financial services. Since being founded in 2014 by Sunil Hirani and Don R. Wilson, Masters has raised $110 million from a range of industry leaders, such as Goldman Sachs, JPMorgan, Citibank, and IBM to name a few, to prove that the blockchain is beneficial for global financial infrastructures. Aside from her role as CEO at Digital Asset Holdings, Masters is also an advisory board member of the U.S. Chamber of Digital Commerce. Catheryne Nicholson – as founder and CEO of BlockCypher, a software infrastructure for blockchain, Nicholson brings decades of experience in software product management, product marketing, environmental and energy, and defense. As a former U.S. naval officer and a STEM advocate for girls, Nicholson has stacks of ambition, holding a BS in Aerospace Engineering, a MS in Environmental Engineering, a MBA, and is a registered PE in Mechanical Engineering. Through BlockCypher, Nicholson is allowing developers to build, monitor and secure all blockchain applications, working with the likes of digital currency dash, the U.S. Department of Homeland Security, Xapo, and Deloitte. Perianne Boring – Boring is the founder of the Chamber of Digital Commerce, which is the world’s largest trade association representing the blockchain industry. She is an avid speaker on the technology and contributes to Bitcoin Magazine and Forbes. Prior to founding CDC she was a television anchor for an international finance program which aired in over 100 countries, attracting more than 650 million viewers. She was also a legislative analyst in the US House of Representatives. Kathryn Haun – as a former federal prosecutor with the U.S. Department of Justice (DoJ), most of Haun’s time was spent as an assistant U.S. attorney in San Francisco, where she also served as the first-ever digital currency coordinator. Haun has now joined the board of directors at Coinbase, the world’s largest digital currency exchange platform. With her experience and wide range of skills they will be seen as crucial to Coinbase as it continues to be seen as the safest place to trade and buy digital currencies. Elizabeth Stark – as co-founder and CEO of Lightning Labs, Stark is building a programmable financial layer for the Internet through fast, scalable blockchain transactions. Lightning Labs is one of the startups that is developing the Lightning Network protocol, which is aiming to make it easier for people to pay for things with bitcoin instead of hoarding it. She has also previously taught at Stanford and Yale University about the future of the Internet. Jill Carlson – Carlson is partner lead at Chain, an enterprise-grade blockchain infrastructure that enables organizations to build better financial services from the ground up. Before joining the company, she previously traded Latin American sovereign debt at Goldman Sachs. It was around Argentina and Venezuela that Carlson started hearing how the locals were using bitcoin to get money out of the country in order to evade capital controls. Having been a partner lead at Chain for less than a year, Carlson is helping its partners to issue and transfer financial assets on permissioned blockchain networks. Tiana Laurence – author of Blockchain for Dummies, Laurence is also the cofounder of Factom, a startup that is at the forefront of pushing the blockchain revolution towards solving real-world business problems. Earlier this month, Laurence was reported as saying that blockchain was reaching a turning point and that ICOs would be used by more traditional companies that aren’t blockchain focused as a way of raising funds. Amber Baldet – as executive director at JPMorgan Chase, Baldet is leading a team developing Quorum, the in-house JPMorgan Chase blockchain project. Quorum, is an open-source code based on ethereum and is designed to cater to big business needs such as scale, performance, and privacy. Baldet has also helped organise the Enterprise Ethereum Alliance, a consortium of 30 technology and financial services partners including JPMorgan and Intel. Linda Xie – as co-founder and managing director of Scalar Capital, Xie was previously a product manager at Coinbase. Having joined the company in June 2014, she has watched the biggest digital currency exchange platform open up how people buy and sell cryptocurrencies. In September, she announced that she was co-founding cryptocurrency fund, Scalar Capital with Jordan Clifford, a former growth engineer at Coinbase, which will focus on a range of crypto assets including privacy-oriented digital currencies such as monero, dash, and zcash. Tiffany Hayden – Hayden is a co-founder of Casheer, Inc., a free mobile payment processing platform for merchants and consumers. She is also a member of Bitcoin GNO, an online community for women involved in bitcoin. More recently, she became Edge’s (formerly Airbitz) new community manager. In the past, Hayden has independently advised professionals and organizations in the finance industry, helping them to understand the transformative nature of blockchain technology and the ways in which it can be employed. Hannah Glass – based in Sydney, Glass is a solicitor in the financial markets team at King & Wood Mallesons, specialising in blockchain technology and fintech. She works with a broad range of clients providing advice on the changing legal and regulatory issues linked with the introduction and use of new technologies, such as the blockchain. Glass is also a member of the Wall Street Blockchain Alliance’s legal working group. Taylor Monahan – Monahan is the founder of MyEtherWallet, a free open-source, client-side interference designed for generating ethereum wallets and sending transactions. She was previously a front-end developer at Mangrove Web Development and a digital producer at Americhip. Maria Gomez – Gomez is a former corporate finance lawyer. Now head of strategy and operations with the Aragon Project, she is helping to build organisations on the ethereum blockchain. She initially got interested in the space through bitcoin, which piqued her interest in the distributed ledger. After reading and researching the technology she soon discovered smart contracts, which led her to the world of ethereum. Charlene Chen – Chen is the chief operating officer at BitPesa and has been part of the bitcoin and blockchain space for over three years after being invited to join the payments company by CEO Elizabeth Rossiello. Prior to working at BitPesa, she was a CRM Systems Analyst at Deloitte Consulting for four years and has spent the last five years living and working in East Africa, focusing on social entrepreneurship, ICT for development, and financial services for the unbanked. At BitPesa, Chen is helping to increase the efficiency, increase the speed, and lower the cost of wholesale FX and payments for African SMEs, international remittance companies, and multinational organisations. Mona El Isa – former star-trader at Goldman Sachs, El Isa is the co-founder and CEO of Melonport, a blockchain software that seeks to enable participants to set up, manage, and invest in technology regulated digital investment funds. While at Goldman Sachs, she was promoted to vice president at the age of 26, making the top 30 under 30 list in Trader Magazine in 2008 and Forbes Magazine in 2011 after profitably trading the 2008 and 2011 crashes. Amanda Gutterman – Gutterman is chief marketing officer at ConsenSys, the largest blockchain technology startup. Prior to joining the company she was working at Huffington Post; however, she left her position in 2015 to pursue a ‘decentralised’ media project, co-founding a company called Slant. This provided anyone with a platform to create digital content and monetise their work straight away. She is also the co-creator and host of Ethereal Summit, bringing futurists and influencers together to explore what it means to live in a decentralizing world. Ayako Miyaguchi – as former managing director at Kraken in Japan, Miyaguchi has been a prominent figure in the bitcoin community for over four years. It was in 2011 that she first heard about bitcoin and the blockchain while working on her MBA. Prior to joining Kraken in 2013, there was a limited market for bitcoin in Japan, so Miyaguchi helped to create a positive image for the digital currency and the blockchain. She is also a founding member of the Japan Blockchain Association as well as being an advisor for OmiseGo, and several blockchain projects for social impact. 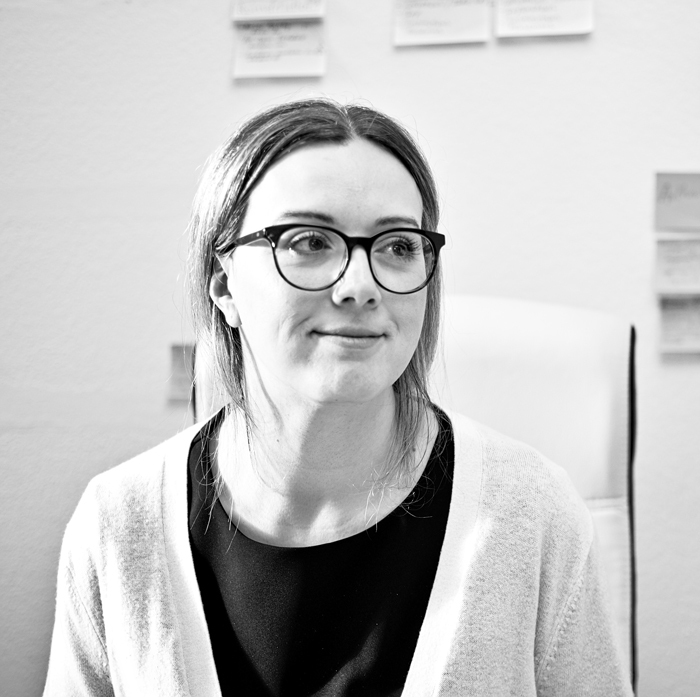 Jessi Baker – Baker is the founder and CEO of Provenance, a UK startup using the blockchain to revolutionise supply chain transparency and product trust. She has been part of the community since 2012. While at Cambridge she studied engineering, specialising in manufacturing and supply chain. Masha McConaghy – curator and researcher McConaghy is the co-founder and chief managing officer of BigchainDB, a scalable blockchain database powering IPDB, also known as an interplanetary database. This is a ready-to-use public network with a focus on strong governance. She has been involved with bitcoin and the blockchain for the past three years, having discovered it through her technologist husband. With a PhD in Arts, McConaghy is also the co-founder of ascribe.io, a service enabling immutable attribution for artists and clear provenance for digital and physical art. Laura Shin – as senior editor at Forbes, Shin has played a prominent role in the cryptocurrency market for the last three years. She focuses on bitcoin, ethereum, the blockchain, ICOs, and fintech. Shin is also the host of podcast Unchained at Forbes where she interviews significant players in the crypto space. ShrooG al-Saquabi – for the past year al-Saquabi has focused on the blockchain technology and is a senior digital consultant and blockchain champion at IBM. In late 2015 she was first introduced to the distributed ledger; however, it wasn’t until August 2016 that she attended business and technical training courses held by IBM that focused on the blockchain and smart contracts. At the beginning of 2017 al-Saquabi was appointed as IBM’s Blockchain Champion for Saudi Arabia. She helps the local team and clients understand the concept of the blockchain and how it can change their companies. Joyce Shen – Shen is the global director of emerging technologies at Thomson Reuters, and currently oversees the end-to-end emerging technologies practice at the company. She also holds a dual role as the head of the Thomson Reuters blockchain/distributed ledger program. Since December 2014 she has been working in blockchain and is a regular speaker and panellist on enterprise technology, business model, and product innovation. Outside of Thomson Reuters she teaches data science at UC Berkeley. Rebecca Liao – Liao is vice president of business development and strategy at Skuchain, a blockchain platform that provides an end-to-end solution for the supply chain. Her first introduction to the distributed ledger was through bitcoin. Prior to Skuchain she was at a startup called Globality, which provides an AI-driven platform for procurement of professional services. She has also served on Secretary Clinton’s presidential campaign as a foreign policy advisor, covering Asia trade and economic policy. However, her career began as a corporate lawyer specializing in cross-border M&A and securities financings. She is also a writer and China analyst. 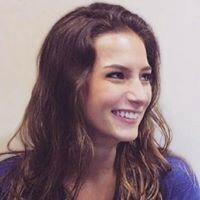 Liya Belenska – active in the bitcoin community for over two years, Belenska is an anti-money laundering analyst at BitPay, a global bitcoin payment provider located in Atlanta, Georgia. It was in 2014 while completing her final year as a bachelor of law student that she focused her thesis on bitcoin from a legal perspective. 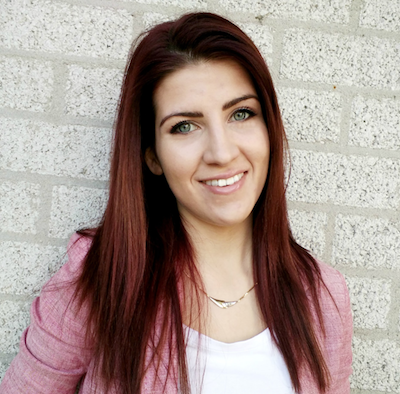 In June 2015 she joined as an intern on BitPay’s compliance team and on the 1st December 2015, Belenska was offered a full-time job as an AML Analyst. Jordan Kruger – Kruger is director of research and operations at Bloq, which provides enterprise grade blockchain technology to leading companies worldwide. She first became aware of bitcoin in 2012 while at graduate school and holds a masters in bioinformatics from Georgetown University. She is also a data scientist and serves as a consultant to the Chamber of Digital Commerce. Danielle Laity – Laity is product manager at Luno, a platform that allows people to buy bitcoin and ethereum. She first heard about bitcoin during her time in the Standard Bank Graduate Program where she was working as product analyst in cross border and domestic payments and was asked to do research into payments innovation. Kathleen Breitman – she is the chief operating officer at Tezos, which promotes itself as a new decentralized blockchain that governs itself by establishing a true digital commonwealth. She first got into bitcoin in 2012 when a lot of her cypherpunk friends were telling her about it. In 2015, she joined R3 to learn more about the technology, leaving it in September 2016 to release Tezos, something she had been working on for three years. Tezos raised over $200 million in July 2017 in an ICO, making it one of the largest. Kristen Stone – Stone is head of partnerships at Coinbase and has been in the space for three years. Prior to Coinbase she was building a data analytics team and driving operational improvement at Occidental Petroleum, an oil and gas company. Robin Weisman – Weisman is the senior policy counsel at Coin Center, a leading non-profit research and advocacy center focused on the public policy issues facing cryptocurrency and decentralized computing technologies like bitcoin and ethereum. Active in the space for over three years, Weisman focuses on policy implications associated with bitcoin. Previous articleBitcoin This Week: Bitcoin Prices Stabilize, Euro-Lotto Goes Bitcoin Crazy And More To Come!